All offers are subject to availability and any prices shown are correct at the time of publication. Please contact us for more details. 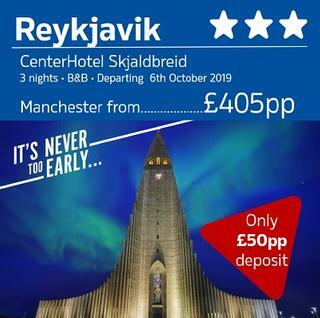 Complete with snow-topped mountain backdrops, colourful buildings, magical Northern lights, crystal-clear air and incredible whale watching opportunities, Reykjavik ticks all the boxes when it comes to dreaming up that perfect winter getaway. 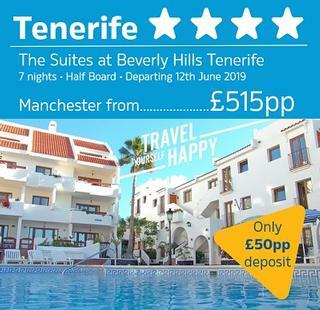 With Tenerife being the most popular and largest of all of Spain's Canary Islands, it's no wonder Tenerife is constantly sort after by British holiday makers. This volcanic island is dominated by Mt.Teide, a dormant volcano crowned Spain's tallest peak which provides draw-dropping landscapes in addition to a range of colourful, sandy beaches as a result.